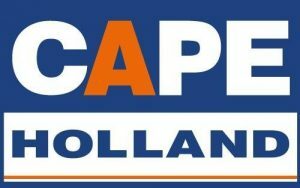 Detail page about the company: Holland Hydraulics B.V.
Holland Hydraulics B.V. is specialised in drive technology and high-quality hydraulic systems for the offshore industry. Over the years, we have built a well-established reputation in various markets, serving customers worldwide as a reliable partner. Holland Hydraulics B.V. is a family business, founded in 1994, specialised in drive technology and high-quality hydraulic systems used in the industrial, maritime, and offshore market. Over the years, we have built a well established reputation, serving customers worldwide as a reliable partner. solution. We work closely together with our customers and suppliers all over the world and we keep the communication lines short. This enables us to meet the customer’s requirements excellently. Managing the entire procedure of consultancy, engineering, manufacturing, installation, controls, commissioning, and maintenance, we provide the customer with a comprehensive, turnkey solution. The Oilgear Company, Parker Hannifn B.V., Rickmeier GmbH, ScanWill Fluid Power ApS, and SSH Stainless a.s.
All hydraulic components, systems, and turnkey solutions are in accordance with the required quality and safety standards. We provide outstanding service, 24 hours a day.